Comments: Unique upright branching form with faintly scented flowers. Long, narrow racemes will have more than 150 individual pale-blue florets. Blooms as a young plant. Photo taken on 3-year old plant. 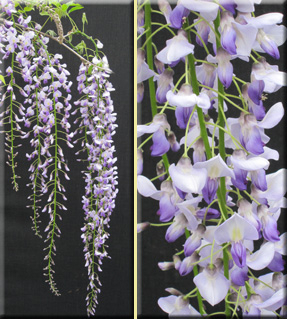 Mature 'Geisha' will have long, dense flower-packed racemes.